I have a Facebook page, Twitter account and a blog. 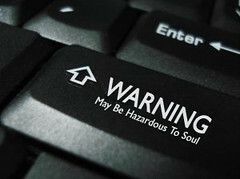 As a pastor, that doesn’t just make me connected or simply in touch with the tech-savvy culture around me, it also makes me dangerous. “To whom?” you might ask. For one reason or another, many church leaders are tempted to be given to the idol of celebrity – to be made “much of” for who they are and what they do. I’m sure the reasons are limitless: broken family issues, leadership insecurities, flat-out narcissism or evangelicalism’s tendency to focus on personalities. While it is likely a combination of many different factors, the end result is usually the same: the unhealthy desire to make a name for oneself. Simply put, in your heart of hearts you want to be a celebrity instead of a servant, a personality instead of a pastor. Needless to say, this isn’t very good for the soul. In fact, I’ve spent intentional time walking through the nooks and crannies of my heart to make sure I’m not trying to build up the Kingdom of Yancey. If I’m honest, there are times when I don’t like the answer I find there. That’s when it’s time to repent, preach the gospel to myself and be honest about my use of social media in the future. Do you feel find yourself artificially generating something to Tweet about even though you have nothing at present to say? Does it frustrate you if no one responds to your Tweets, posts or status updates? Is there ever a sense of jealousy when you read the posts, tweets or status updates of fellow pastors? Has social media become your new anti-spiritual discipline in that you have given it more of your time, attention and focus throughout the day? Have you become more (or less) secure in your identity in Christ since beginning your social media venues? Would it create anxiety in you to disconnect from Twitter, Facebook or other social media for an extended period of time? Now if you’ll excuse me, I’ve got to get this posted on my Facebook and Twitter. You’ve painted a clear picture of digital idolatry. To be honest, I have wrestled through all of your questions, the first three in particular. The new media technologies are powerful. They can be used as tools for achieving great kingdom purposes. They can also play strongly to the things and principles of the world. Without the discernment you’re calling for, technology will backfire on us. The lesson here is that we need to submit our use of technology, as with all things, to the Lordship of Christ. Every minute of the day. Otherwise, we run the risk of falling under its control. Thanks for pointing out the dangers. Excuse me now, I need to run and tweet about commenting on your blog!!! Thanks for the reflection Gordon. I’m sure I will personally return to these questions every now and again. Yancey, excellent and clear warning, and I probably needed to read it today. I do want to offer not so much of a counterpoint, but maybe an abstract twist on the subject. I find myself running to social media as a means of connecting with the culture around me because I don’t feel I can do this effectively merely within my church ministry. That may sound strange, but at my church, we still argue over how many hymns to use and if we should eliminate the Christmas card distribution boxes in the lobby. For me, on Twitter and elsewhere, it feels to me that I can really connect with the real world. I’m doing all I can to lead my church to engage culture in a more relevant way with the gospel, but I feel like many churches need to be listening to this. It may be one more sign of the church’s slide into irrelevance (not the irrelevance of truth, just “church” as we’ve done it). So I find myself wanting to expand my online influence not because of narcissism or ego, but as an outlet for my soul to truly feel connected with lost people in some way. I hear ya, Brandon. I don’t think social media is bad in and of itself…just dangerous for those who might be given to celebrity idolatry. I believe it can be a helpful tool for a church if used well. Yancey, I read this after someone tweeted about another article/post you wrote. God used you in my life today and I wanted to say thank you. I’ve been battling with some depression issues over the past week or so and I couldn’t figure out what was at the root of it. Social media is only indirectly involved with my issues, but this post was the catalyst that got me thinking about my sins of pride and (attempted) self-sufficiency. I have been trying to find significance in what I do (and how other respond to what I do) rather than in Christ. Thanks Doug! I’m blessed to know that God used it.